I had a great time with the Breakfast Television Edmonton crew this week. 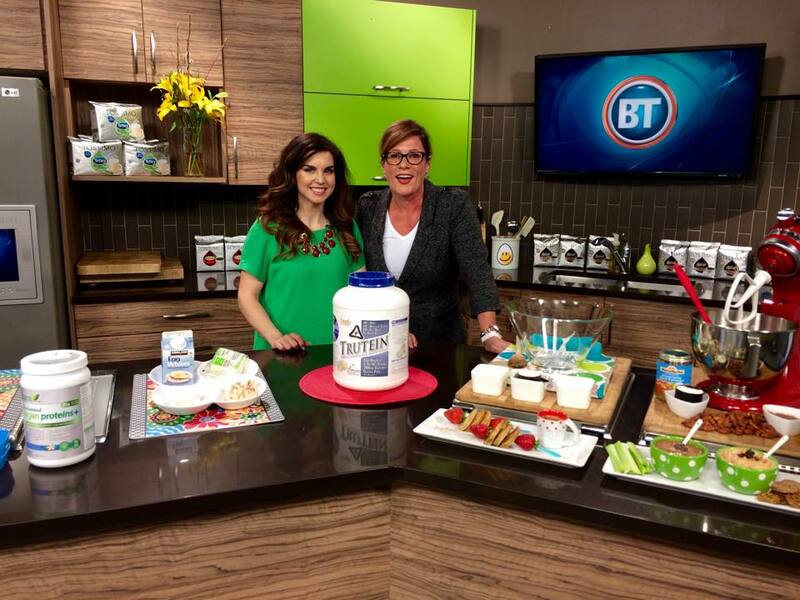 Bridget and I dished the scoop on protein powders. 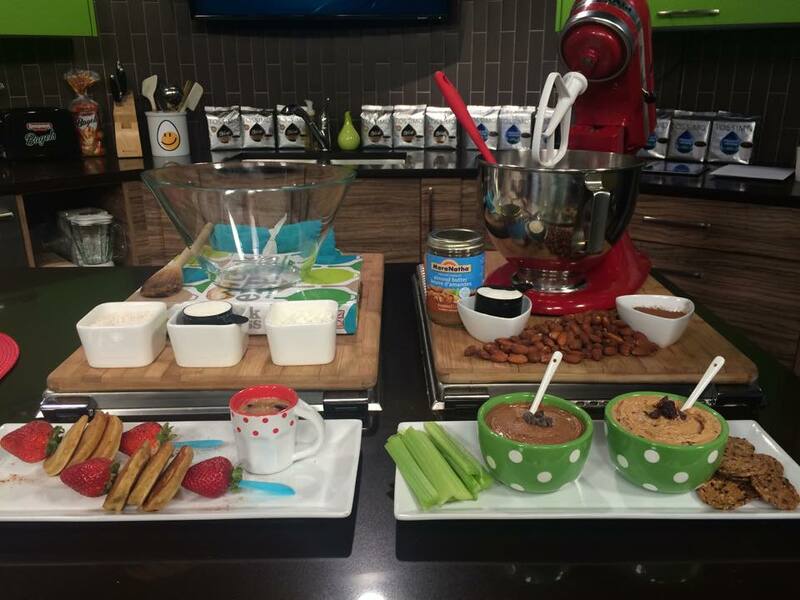 If you’re looking for a few quick tips and recipe ideas check out the segment here. Whether you’re an elite athlete or fitness enthusiast, protein is an essential building block for good health. Protein provides energy and essential amino acids to repair, maintain and build muscle, and to manufacture hormones, enzymes etc. Bonus – Protein with meals and snacks can help us feel fuller (and satisfied) longer, which may be helpful in maintaining a healthy weight. As we know, protein comes from many sources. Whole-food proteins such as meat, fish, poultry, eggs, dairy and pulses are excellent sources and provide many supporting nutrients (e.g., iron). Protein supplements, most popularly protein powders, are also a good option to support dietary protein needs. While whole-food proteins provide nutrients that isolated powdered proteins do not, protein powders can be a simple and convenient way to get ample protein in your diet. If you are using protein powder after an intense weight-training, sport or endurance workout, choose one with only whey protein. Whey protein is absorbed more quickly than casein or soy. It is a good way to quickly repair your muscles. My friends at Eclipse Health & Fitness (St. Albert & Fort Saskatchewan, AB). Provided the protein for yesterday’s segment, and we’re an excellent resource. Thanks again Adam & Dana! 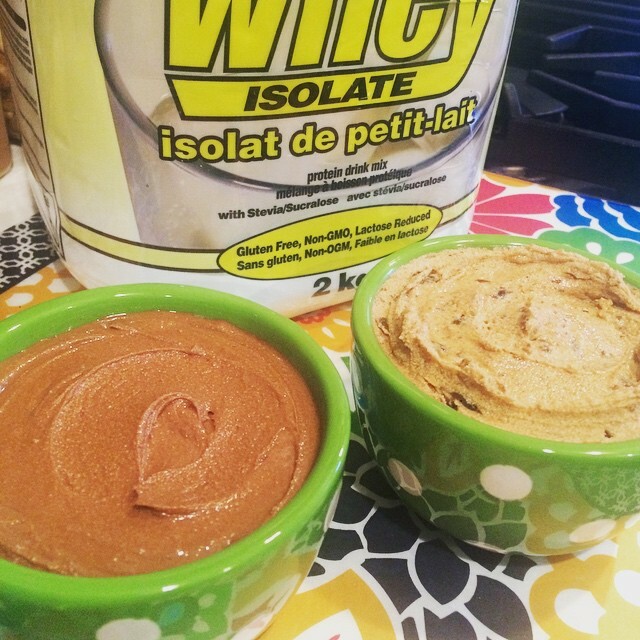 Try adding a scoop of protein to your oatmeal or making a smoothie or enhancing baked goods. I enjoy experimenting with different forms of protein powder (dairy, plant, bovine, egg etc.) and endless flavours. You just never know when you’re going to create a go-to recipe that becomes a household favourite. I often look to ProteinPOW or The Protein Chef for recipe inspiration. Anytime there’s a community reviewing recipes it takes away some of the guess work, which is helpful. This recipe is a twist on the traditional pancake in that it has two special ingredients: espresso and protein powder. They are the perfect morning wake up. Blend all ingredients until combined. Allow batter to rest for 3-5 minutes. Use non-stick spray to coat frying pan. Cook on medium-high until pancakes are golden. Sprinkle with cocoa powder (1 Tbsp = 30 calories, 2 grams fiber) and top with a dollop of Greek yogurt. Fresh berries make a great side, too. I hope you experiment and enjoy. Please, tweet your favourite recipes using protein powder to @FoodFirstRD. Thanks! Food First © 2009-2019. All Rights Reserved.